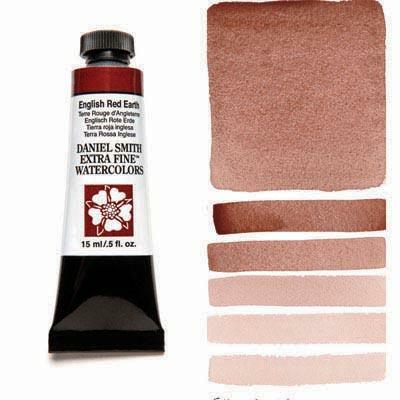 Rich color and opacity make English Red Earth a versatile pigment that offers a range of effects. At full strength this color is similar to Burnt Sienna although it provides more coverage and dries with a slightly matte finish. Add water to create a warm pink-brown with soft granulation. Excellent light fastness makes for a reliable watercolor.